Lovely warm Spring day today. All good for the Sedum to grow. Big order today so busy on the fields. Spring is nearly here, be lovely when the swallows and house martins are back, that is a real sign. My daffodil bulbs are all up in the Orchard so that is a good sign! Caroline has been away a couple of days in the office so chaos there, Richard and Jim are taking all the calls but they are no way as good as Caroline, hurry up and come back we need you! Now is the time to start thinking about your new Green Roof. Call us at any time to discuss the type of green roof system you would like. 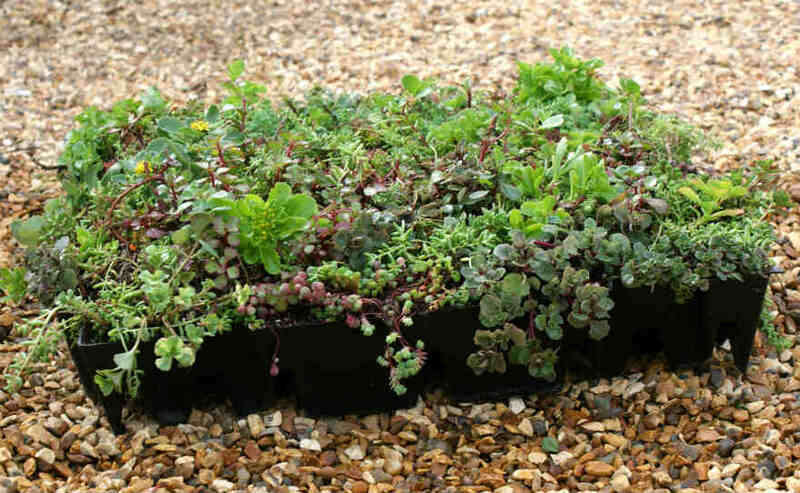 Whether Sedum or wild flowers, S.Pods/modular trays or mats we can help.